It was 1972 and I was 10 years old when I took my first backpacking trip into the Trinity Alps. My dad kept secretly putting heavy rocks in my pack at every stop to slow me down. After a rigorous seven mile ascent, I remember the exhilaration of cresting the final saddle to see the emerald colored lake in a cathedral granite bowl. Diving into the frigid snow melt waters stunned my senses. Once I could breathe, I shouted a rapturous, “This is amazing!” sending echoes of youthful happiness skimming off the lake into towering columns of stone. Adventures like these kindled a deep passion in me for the natural world. I was particularly drawn to the rugged mountains, rushing rivers, pristine lakes and glorious glacial valleys of the Sierra Nevada. Simultaneously, an interesting rhythm of life began in me – work hard, play hard, and experience joy as it surprises you. Even though this joy often vanished into melancholy, it sprang up most often in the reverent experience of nature’s beauty and wonder. Gazing at the night sky, particularly the Milky Way, was where all my big questions began. Who made this? Why am I here? Is anything meaningful? As I entered adulthood, similar feelings and contemplations would be aroused through music, theatre, art, athletics, great literature and even science. Fast forward to the early 1990s where I was immersed in my UC Davis Family Medicine Residency. In those long hours behind white hospital walls, I was longing for the refreshment of the mountains. I began looking at the charming Sierra town of Quincy as a real possibility for starting my career. I was imagining the exhilaration of exploring every ridge, canyon and crevasse of Lakes Basin. Coincident with the beginning of my practice in 1994 a national movement driven by patient advocacy groups and pain specialists succeeded in passing a mandate that required every physician in the US to complete 30 hours of continuing medical education on pain management “best practices”. Significant impetus behind this mandate was the legitimate concern over the inadequate treatment of terminal cancer pain. Unfortunately, in retrospect, the curriculum also advocated for more liberal use of opioids (opiates) in the treatment of chronic pain in general. Reassurances were given by specialists and researchers that addiction and abuse potential was possible but uncommon if carefully monitored. We were taught that we could enhance the functionality and quality of life of our patients with chronic opiate use. Over two decades later we find ourselves in the middle of a national crisis of prescription opiate and illicit heroin abuse, addiction, overdose and tragic deaths. Time, experience, and multitudes of further studies began to demonstrate just how perilous chronic opiate use could be. Through national awareness campaigns and increasing scrutiny of prescribing practices we physician’s began to wake up to a problem we helped create. Over the past several years in Plumas County, a proactive effort involving patients and families, social workers, therapists, mental health workers along with physicians and pain specialists worked to adopt and utilize best practices to curb abuse. More than a year ago, a strategic taskforce with wide representation was formed called the Northern Sierra Opioid Safety Coalition. Quite amazingly, we experienced zero deaths in Plumas County in 2016 due to opioid overdose! This is a victory, but we still have much work ahead. With this said, opiates continue to be of tremendous value in anesthesia, traumatic injuries, post-surgery pain, heart attacks and severe acute pain (3-5 days). They remain invaluable in keeping terminal patients comfortable for end of life care. However, they are now considered to do much more harm than good in chronic pain management. Worse yet is to use opiates to treat emotional pain or stress induced conditions. We learned all of this the hard way. So what about marijuana? Cannabis has shown promise in a variety of specific medical conditions including anorexia in AIDS patients, intractable nausea in cancer patients and severe tremor in Parkinson’s disease. The World Health Organization (WHO) has compiled tremendous evidence based data on the risks and benefits of cannabis and its derivatives. We must be mindful that every single drug has inherent risks and benefits needing to be weighed and nuanced to the clinical and environmental setting. One alcoholic beverage daily is considered safe, and one glass of red wine daily shows evidence of modest health benefit. However, due to abuse, the WHO still considers alcohol to be the world’s #1 most destructive drug. Every cigarette smoked has been correlated with removing 6 minutes from your life, and there is not one health benefit attributed to smoking. Cannabis intoxication is not generally life threatening unless potent marijuana wax (honey oil) is consumed. Emergency Room visits and treatments are increasing at an alarming rate in states with marijuana legalization, particularly in Colorado. Driving while intoxicated by any psychoactive drug can be catastrophic. In my professional and personal experience, I have observed many regular users of marijuana to exhibit mood instability, slowed cognitive processing, and reduced ability and/or motivation to perform complex and rigorous tasks. These observations are supported by the medically recognized “cannabis use disorder” which develops in roughly 10% of regular cannabis users and is associated with cognitive impairment, poor school or work performance, and psychiatric comorbidity such as mood disorders, and psychosis. Prospective longitudinal surveys suggest that cannabis users are 2.0 times more likely to develop “alcohol use disorder” over the next 3 years than are non-users, and 2.6 times more likely to have a current heroin use disorder than non-users. Studies also show that the majority of daily cannabis users also binge drink alcohol. Are there those who use marijuana responsibly and beneficially for specific medical indications or through limited recreational use? Of course. However, I believe psychoactive prescription drugs, illicit drugs, and legal recreational drugs including alcohol, tobacco and marijuana are all overused and overrated. They are particularly overrated by those who profit monetarily by consumer use. In the case of drugs with abuse potential, they are also overrated by those who seek to justify a habit. Anxiety and depression disorders among our youth are at an all-time high. We need to teach and practice decreased dependence on recreational drugs which afford a transient but dangerous escape from difficult realities. We need to teach and practice healthy coping skills including meditative and mindfulness practices, yoga, tai chi and prayer. We need to teach and practice reduced dependence on social media, while we encourage and facilitate face to face community events and dialogue. We need to teach and practice good nutritional habits and regular exercise. We need to celebrate opportunities like the challenging climbing wall and exhilarating river rides offered by our local junior college as therapies for stress and as opportunities to combat loneliness. We seem to have a cultural preoccupation with and over utilization of psychoactive substances to enhance our mindful states, when in fact we put ourselves and those we influence at risk of chemical dependencies of a variety of sorts and combinations. I believe we need to cultivate a different kind of medicine- the medicine of a healthy mind and body afforded us by our proximity to astounding natural beauty. Our mountains, forests, rivers, lakes and wildlife provide an abundance of delight, healing and recreational opportunities that many in this world can only see on a screen. Californians have voted for the legalization of recreational marijuana which gives every adult the right to cultivate up to six plants and possess one ounce of cannabis for personal use. However, the “green rush” is on and commercial growers are looking for land, and looking to profit. California is already producing seven times what it uses for both medical and recreational purposes. Counties including Butte, Lassen, Tehama, Mendocino, Calaveras, and Siskiyou are scrambling to combat increased crime, environmental damage and pollution, wildlife harm, as well as polarized citizens. Some are placing emergency moratoriums on commercial growth. There is tremendous potential for huge profits and with that comes opportunistic individuals and groups growing legally and illicitly who care about little else than money. Are there responsible, good people who care about our health, neighborhoods, environment and lands who are pro commercial? Once again, of course. Nevertheless, I would argue that very recent history demonstrates that these responsible growers end up being the minority in pro commercial counties. Before we consider allowing the commercial growth of cannabis in Plumas County we need to ask the following questions: How will this impact my neighborhood, my community, and the environment? Will law enforcement and our DA have the resources to confront increased crime, neighborhood complaints, illegal grows, and convoluted and expensive prosecution? Do other counties that have now restricted commercial grows know something that we do not? Will this reduce or increase the cartels growing in the forest? Will this commercial enterprise promote the health and wellness of our citizens? The nonchalant attitudes toward the psychogenic effects of recreational marijuana concern me. Our economy could use a boost, yes, but at what cost, and does the end justify the means? Ultimately, my argument for being a “No Commercial Grow” county is centered on two things. First, the risk of a high stakes, high profit industry destroying the safety, health and tranquility of our rural county. Please read the abundance of current articles documenting what’s happening in neighboring counties facing this issue. My second point is this: What does Plumas County want to be known for and what do we desire people to remember and treasure from their experience here? We are blessed beyond measure to live in this incredible place. We have a great community college, thriving arts community supported by Plumas Arts, excellent and caring healthcare systems, an award winning 20,000 Lives program through Public Health, and a festive homegrown county fair. Furthermore, we enjoy farmers markets, trail stewardships, coops and spirited volunteerism in fire departments, churches and many service groups and clubs. We have attracted large events such as the High Sierra Music Festival, the new Plumas Americana Festival, the internationally acclaimed Grinduro bicycle event and, of course, the World Championship Longboard Races! In June of 2018 we will have our first annual Conservation and Wilderness Medicine Conference here in Quincy with world class presenters. I hope to see our county continue to grow a reputation for healthy living, gardening, hiking, kayaking, biking, fishing, birding, scouting, 4H and innovative schools. 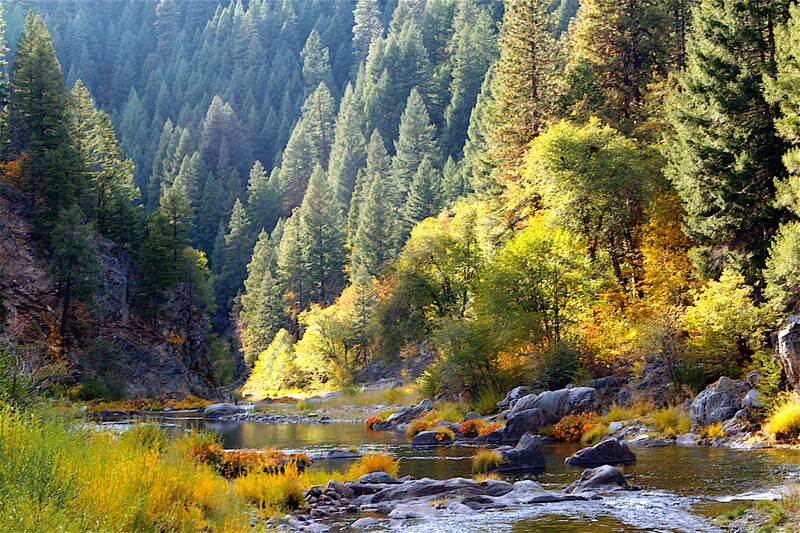 Plumas County should be known for its charming downtowns, inclusive people, community spirit and a backyard paradise of rugged and wild natural beauty. These are the things that make me cry out, “This is amazing!” like on that first backpacking trip. These are the “natural highs” that drew my family and so many others to settle down here. As hard as it may be, let’s keep up the tenacious struggle to grow our small local economy to benefit the common good of our citizens and to foster the responsible stewardship of the land. There is a newly formed Citizens Group for a Responsible Cannabis Ordinance (CGRCO). This group is drafting an ordinance which would prohibit commercial grows, and thereby provide protections for our neighborhoods, wildlife and our beautiful lands. We implore our Board of Supervisors who represent you to consider adopting this alternative ordinance to replace the Draft Cannabis Ordinance being crafted by a largely “pro commercial grow” working group. Make your informed decision and let your voice be heard. This is a pivotal time for our county and time is of the essence. ← Commercial cannabis? No debate.